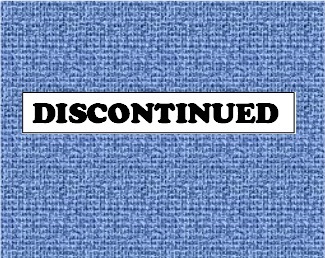 Discontinued in late summer 2013, sorry! Optional Toggle Switch: Add Ryck 3-way bright toggle $25 with other mods [Add $25.00]Gives you the stock tone, plus two new tones, one a little brighter and one quite a bit brighter. You will get a little more hiss when the treble is increased but it's not bad and the sound is awesome and jangly! Add Ryck 3-way bright toggle $45 with no bypass mod [Add $45.00]Gives you the stock tone, plus two new tones, one a little brighter and one quite a bit brighter. Analog Man carries the MXR Handwired 1976 Vintage Dynacomp Pedal CSP-028. A meticulous re-creation of the benchmark compressor. A meticulous re-creation of the benchmark compressor. In the quest for ultimate tone, a compressor is an indispensable ally. And the MXR Dyna Comp that was produced in 1976 has long been regarded as the ultimate stomp box compressor. There’s something inherently musical in the way it “tightens up” a guitar signal, raising the volume of quiet notes and leveling off peaks to create rich, full bodied sustain. From country twangers to metal monsters, guitarists have long relied on the MXR Dyna Comp to make their riffs stand tall in any live or studio mix. Now the MXR Custom Shop brings back that highly sought-after sound with the ‘76 Vintage Dyna Comp. Meticulously researched and superbly crafted, it features the exact same circuitry used in the original 1976 Dyna Comp, identical in its component layout, silkscreen and handmade wire harness. The key component is the old school CA3080 “metal can” integrated circuit (IC), which yields quieter operation, greater transparency and increased dynamic range. These ICs have been out of production since the ‘80s, but MXR has tracked down a stash of them—enough to produce a limited run of these little red boxes of compression bliss. With supplies limited, the MXR ‘76 Vintage Dyna Comp is destined to quickly become as ultra collectible as its noble ancestor. So get yours now. 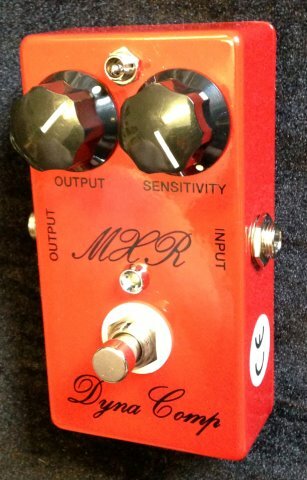 Available only from the MXR Custom Shop. 1976 spec components, metal op amp chip! The Dynacomp is the pedal that the ROSS compressor was based on, so they are quite similar. Dunlop did a very good job with the reissue- I cracked up when I saw the pots have the original manufacturing date codes on them from 1974, but then followed by another 2008 date code to avoid forgeries. Very nice touch! The stock bypass tone is not bad, almost no measurable resistance or capacitance when OFF or audible change in tone. But we will offer true bypass for people who really want it. The bypass mod is needed if you want to add an off/off status LED. An added power jack is cheaper if you get the true bypass mod as that will cover the labor for both. The optional power jack will fit on the left or right of the switch, so let us know if you have a preference in the ORDER COMMENTS AREA. We usually put it on the right of the switch below the input jack. Be careful running a power supply directly to the battery clip in these. It can cause some really weird noises. Use TheGigRig VBAT-BC and that will fix it. Or you can use a Z Vex power plate, the noise filtering in that will work too. When we add the optional power jack, we include the filtering so there will be no problem. The Dynacomp and Ross circuit is not very bright, to keep white noise down. But sometimes it's nice to have a bright trebly tone, as heard on Rickenbacker guitar's built-in compressor. Looking at the Rickenbacher schematic, it's about the same as the Dynacomp except it allows more treble for that jingle-jangle sound. We decided to offer this with a three-way switch so you can get just the amount of treble you want. One position is the normal Dynacomp/Ross value for about the same tone as OFF and low noise. The second position adds a bit more treble and just a touch of noise - this may be great to use all the time with a dark guitar like a Les Paul with high output pickups. The third position is twice as bright, close to the Rickenbacker setting, for a sound that really pops, with a bit of noise that you won't notice till you stop playing. We can put this toggle on any of our new CompROSSor or Dynacomp pedals when ordered, or we can add it later on which costs a bit more as it's more work to add it after the pedal is built. I picked one of these up because Analog Mike says they are worthwhile. Oh boy is he CORRECT. Very nice compression from very subtle to heavy squish. with a good amount of boost available from the 'level' knob. I got the AM modified pedal with power jack, led, true bypass. IT IS FANTASTIC, thanks Mike! Now it's unavailable so all you can do is read this review and look for one used. That's what I did.